When you think back on your favorite holiday memories, a good many of them will probably involve making or eating Christmas cookies. Start your own family traditions by testing out some of these easy recipes this year! Holiday baking doesn't have to involve hours of mixing, measuring, and trying to get frosting just right. 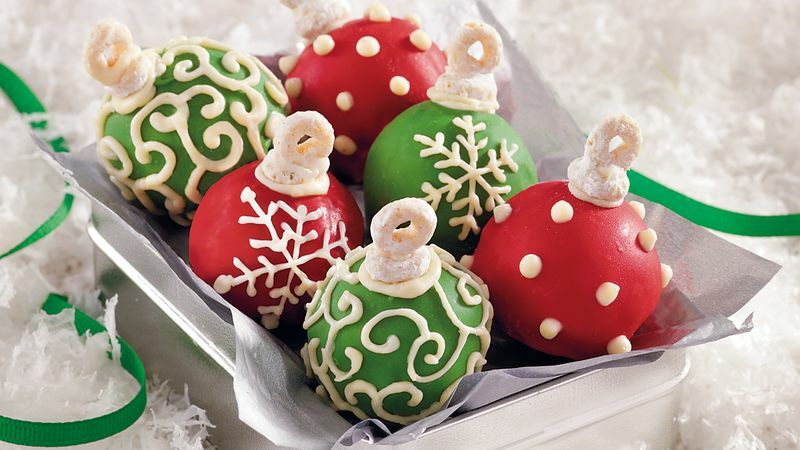 These simple recipes will help you create an impressive array of delicious Christmas treats. Most of these are family-friendly and will keep your kids busy for a whole afternoon if you're lucky. Start by melting chocolate chips or white chocolate chips in a microwave-safe bowl at 45-second increments, stirring each time until melted and smooth. I like to use honey wheat pretzels for this. They're smaller, and you can make more of them. 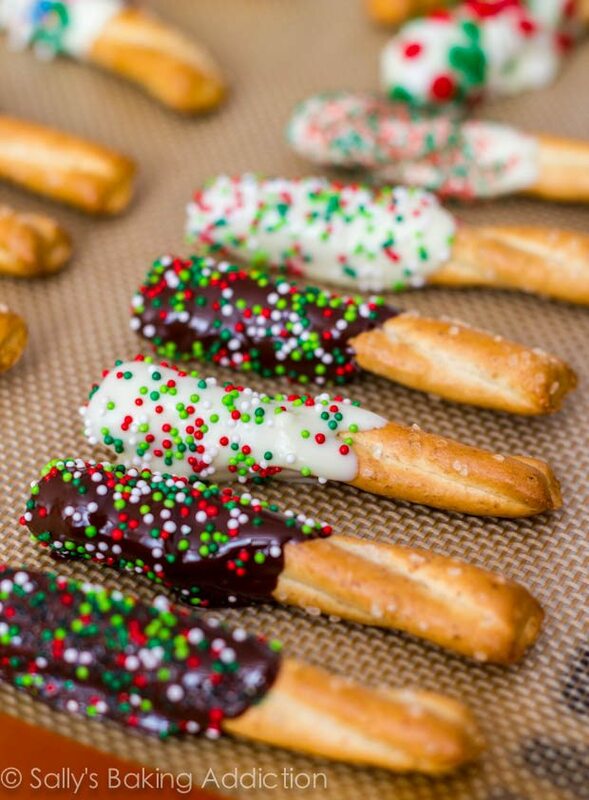 Dip each pretzel into the melted chocolate, lay flat on a sheet of foil, and add some colored sprinkles. Cool and keep in an airtight container. This is a classic no-measuring-needed recipe. Buy your favorite kind of pound cake and one container of matching frosting. For example, for one marble pound cake, I'd get one tub of chocolate frosting. For carrot cake, I'd get cream cheese frosting, and so forth. Crumble the cake by hand and mix well with the frosting, adding just enough to hold everything together without being a homogenous paste. Shape the mixture into balls, freeze, and then roll in melted chocolate or white chocolate. 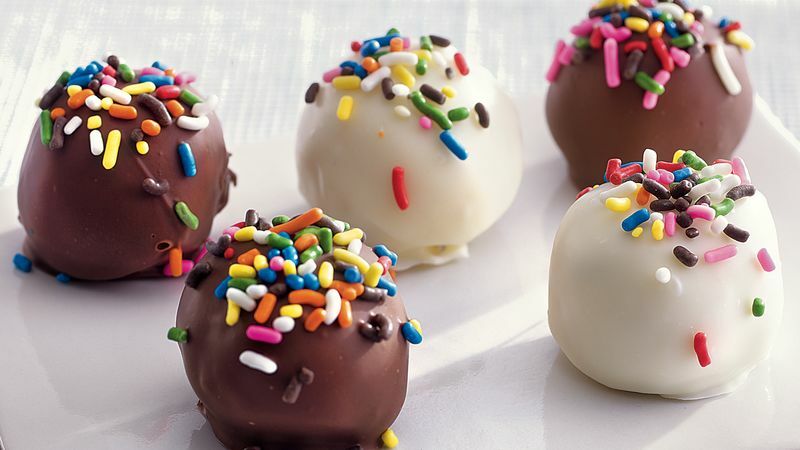 Decorate with sprinkles or drizzles of chocolate. Hands down, this is the most-requested recipe in my repertoire. I only make it at Christmas time because it's THAT addictive. 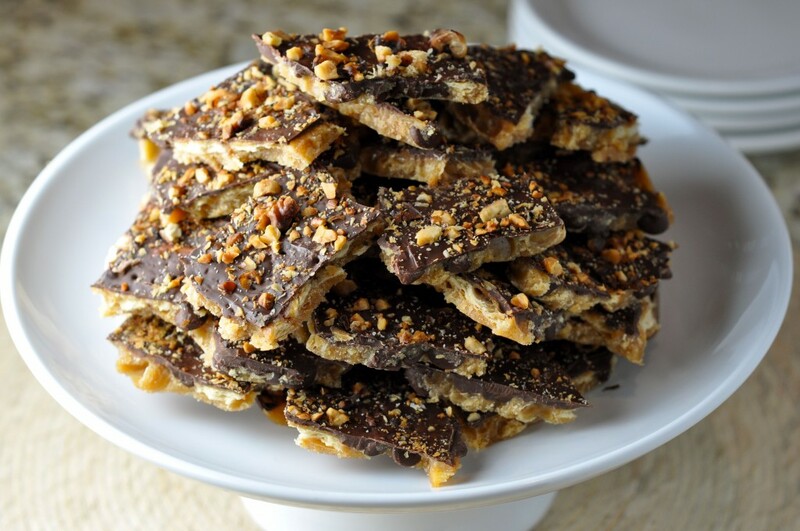 The combination of salty crackers, homemade toffee, and chocolate is absolutely scrumptious. This recipe by More Sweets, Please is a good building block. Experiment with different kinds of chocolate, white chocolate swirls, and crumbly toppings. Coarse sea salt is lovely on this. 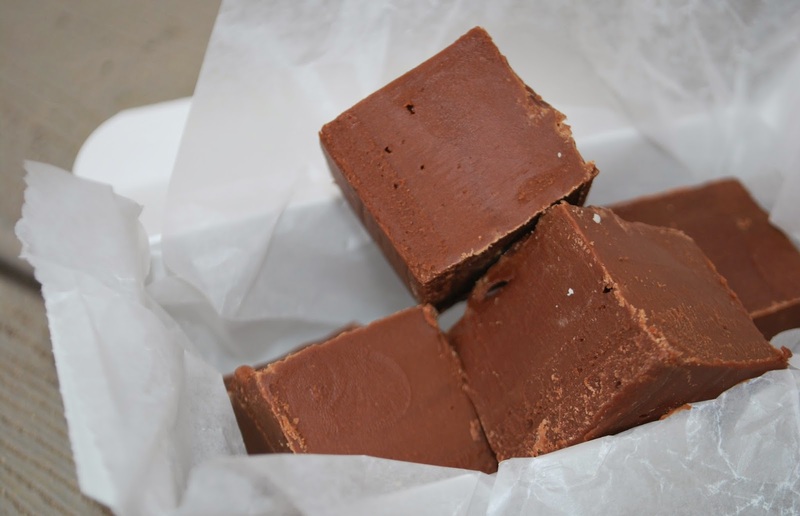 Is there anything more decadent than a square of velvety sweet fudge? This recipe is a copycat of the famous See's version: soft, chocolatey, and easy to dress up with add-ins like nuts, marshmallows, or peanut butter stripes. A little goes a long way, so cut it into small squares and watch them disappear. Because the whole tray shouldn't be all chocolate, try this easy-peasy Coconut Haystack recipe from Genius Kitchen. There's nothing simpler than a drop cookie, and with just four ingredients, it doesn't get much easier than this. If you have trouble with them losing shape, add a bit more powdered sugar and refrigerate the dough before baking for about 10-15 minutes. I like to round out my cookie platters with something fresh like berries, clementines, or some salty roasted nuts in a cupcake liner. Some basic sugar cookies from a refrigerated roll also help break up the chocolate-heavy treats. 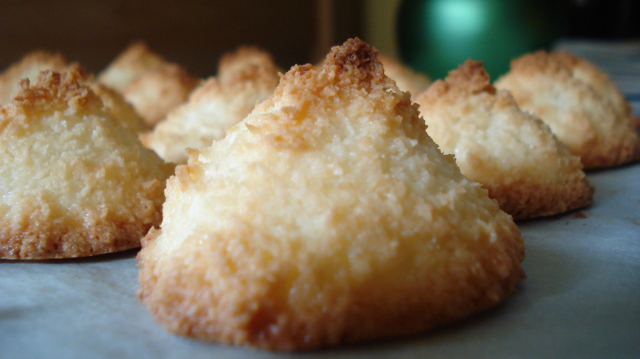 Do you have a favorite Christmas cookie recipe? Share it with us in the comments below! Feeling creative in your holiday drinks, too? Check out these five eggnog recipes!